This is the medium version of our four seasons denim backpack; made from the same heavy weight denim as the original. 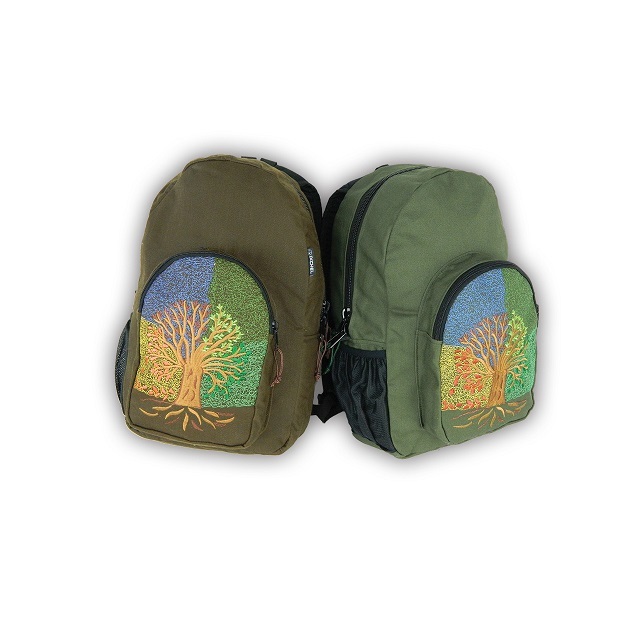 This bag features a front pocket, inside organizer, a concealed pocket, and the same 9-color "Four Seasons" embroidery. Made of 15 oz. heavyweight denim, this bag comes with durable inner liners and ergonomic molded straps.